Createspace Independent Publishing Platform, 9781985240681, 264pp. Enchanted city. Old magic. New threat. 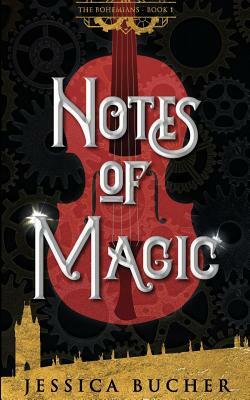 Taq, a young fiddler, comes to Prague with dreams of joining the Bohemians-a band of immortal, magic-wielding street performers. With a mission to right past wrongs, things don't go as planned when he meets the beautiful performer, Katia. Now, he must decide if revealing his secret is worth losing her heart. Katia has spent one hundred years chained to the city, broken-hearted and silent, waiting for her chance to be free. But with an impending threat on Bohemia itself and a mysterious newcomer, peace is starting look farther than ever. Now she must decide if she should trust Taq or put her faith in the one who broke her heart-the tyrannical Magistrate of Bohemia. Curses can be broken, but at what cost?